Today I have for you another one of my Lush products I'd like to try post just like I promised. Going to keep this intro super short and quickly begin. The first product I've been interested in trying is the 9 to 5 cleansing lotion. This product sounds really cool because it is a soapless cleaner and is great to remove your makeup at the end of a long day. It claims to remove your makeup and cleanse the face super quick so if you're in a hurry you can be in and out in no time. It has a milky consistency and contains dice orchid that calms and soothes the skin. Blends of loose emulsion and exquisite essential oils will help brighten your skin. This cleanser will keep your skin feeling nice and refreshed. One last thing, I heard that 9 to 5 can also be used to clean up or erase any mistakes you may have done while doing your makeup such as creating a cat eye. We all know how tricky those can be. At the moment I am loving my Pixi cleansing duo but once I'm out of that I am going to definitely pick this up and give it a try. I've just been loving all of the Lush shower gels. I've used a few different ones already and I seriously loved them all. Beautiful is another one of their shower gels and this one smells of peaches! Ok, I'm not going to lie, the main reason why I want to try this shower gel is because of its peachy scent. Fresh peach juice, dried apricots and myrrh resinoid is going to leave your skin feeling soft and smelling delicious. It's always a plus if a shower gel can help my skin feel soft. Beautiful is great for that morning wake me up! I really enjoy Lush's shower gels/creams because they leave my skin feeling hydrated and doesn't dry out my skin like some products. How cute is this Tisty Tosty bath bomb? I've been noticing more and more how much I really enjoy rose scented items, especially in the bath. Tisty Tosty contains the lovely aroma of rose and jasmine absolute that is sure to set a romantic mood. Once you drop this bath bomb into the tub you will begin to see whole rosebuds floating around. This will definitely make your tub look like a potion for love. I'm hoping this will be a great alternative for me to use when Rose Bombshell bath bomb is gone. That one also smells of rose but is limited edition. 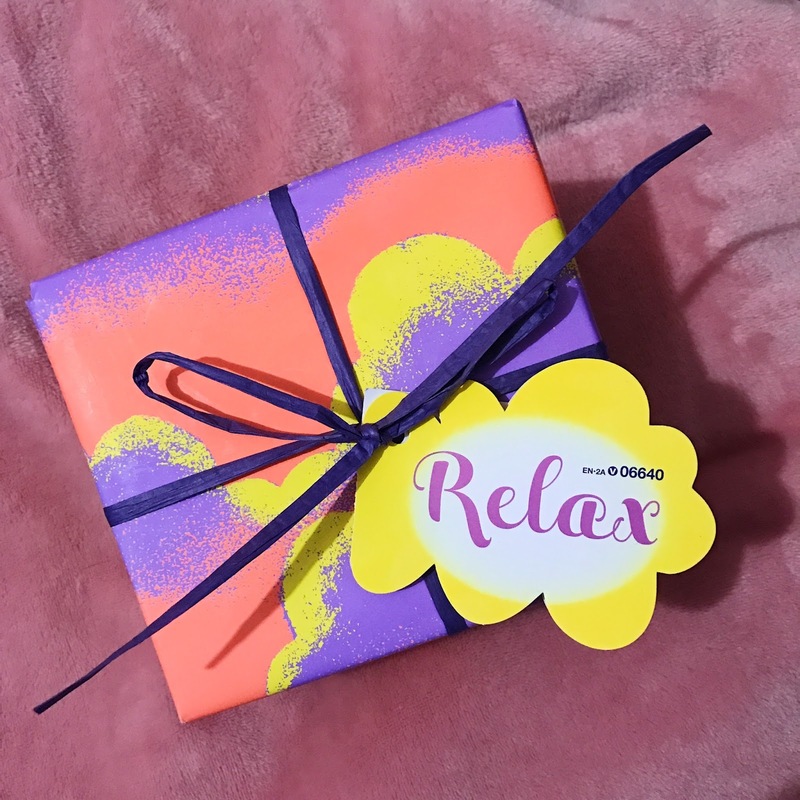 Rose scented items are so perfect for the spring even summer! Another rose scented item that I have been eyeing for some time is the Rose Jam bubbleroon, "bubble bar". I own Rose Jam shower so I'm pretty sure I would love this bubbleroon since I love the scent of Rose Jam. It will make your bath silky, soft and rose-scented bubbles. This contains rose oil and rose absolute that smells amazing and is also great for soothing dry and sensitive skin. I love how the bubbleroon resembles a fresh macaron too. Super cute and macarons are one of my favorite cookies. I love my D'Fluff shaving cream but I've been wanting to try out some of their other shaving products. I've been told that Ambrosia shaving cream is a really great product. It is ideal for sensitive skin and is also very gentle. You won't need to worry about anymore razor burn because Ambrosia contains linseed gel thatis meant to protects the skin, chamomile extract and oat milk to soothe, and honey that helps your skin retain its moisture. TMI: One of the Lush employees mentioned that this is even a great shaving cream for the woman who shaves their downstairs area. 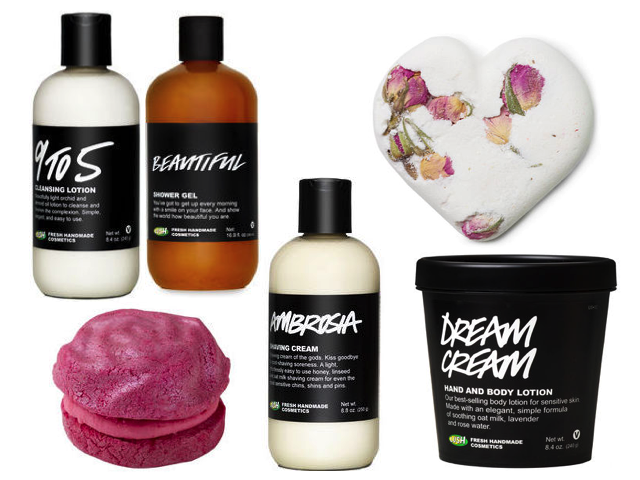 What Lush items are you wishing for? What beautiful is peachy 🍑 scent 😱. I definitely recommend Tisty Tosty. It might be my favorite bath bomb, it doesn't color your water but it smell so good and leaves cute little Rose buds and petals 🌹. I'm wishing 🙌🏻 to find some Vancouver only Lush products but I don't think they'll have any. Awe hopefully they do, cause I remember seeing people post that UK has exclusive items. I need to pick up a hair conditioner from them next cause I'm almost out of the one I'm currently using. i haven't been to lush in ages and i really have to have a good stock up. the rose jam bubbleroon is beautiful and i love it. I go to a Lush almost weekly even if I don't purchase anything haha. That will be the next bubble bar I purchase! I have got so many Lush bits I need to get through! I love the rose jam bubbleroon, the scent is lovely! I have a large collection myself that I need to go through but I can't stop purchasing more and more items haha.